FEBRUARY 22: Official release date for The Wrong Object's Into the Herd ! JANUARY 2019: click here: 2018 Annual Jazz Station Awards. Thank you Arnaldo de Souteiro! NOVEMBER 2018: TWO plays and sings FZ - official release of Zappa Jawaka! OCTOBER 2018: Sound wizard and guitar maestro Mark Wingfield is mastering The Wrong Object's new CD of original compositions, Into the Herd. JULY 2018: The Wrong Object, Zappa Jawaka: the mix is in the can. MAY 2018: We are now in a position to reveal firm news concerning the long-awaited Gödel Codex album, Oak, which will be released in January 2019 by Off Records! MARCH-APRIL-MAY 2018: Ali e t o lo ss reading-exhibition-book-launches mini-tour taking us to Cambridge, Paris, Liège, Orléans and Bourges. 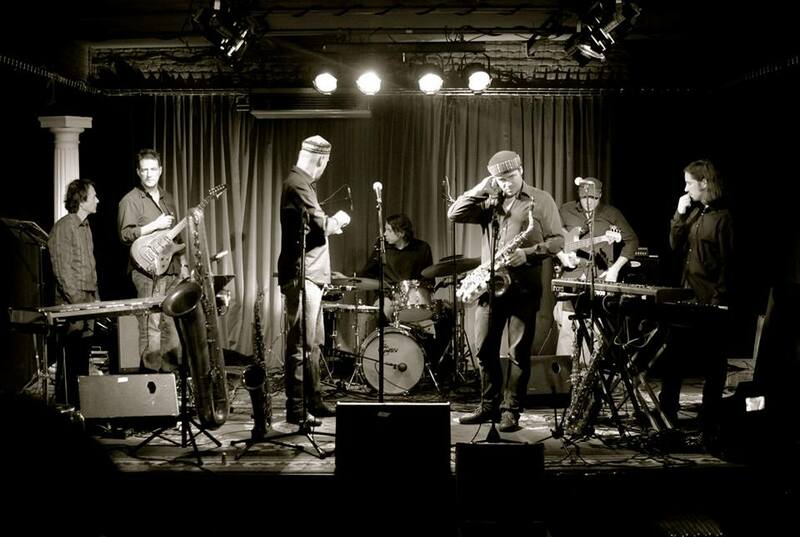 FEBRUARY 2018: official release date ofVegir, Dominique Vantomme's sonic extravaganza featuring Tony Levin on bass and Chapman Stick, Maxime Lenssens on drums, and yours truly on electric and synth guitar. 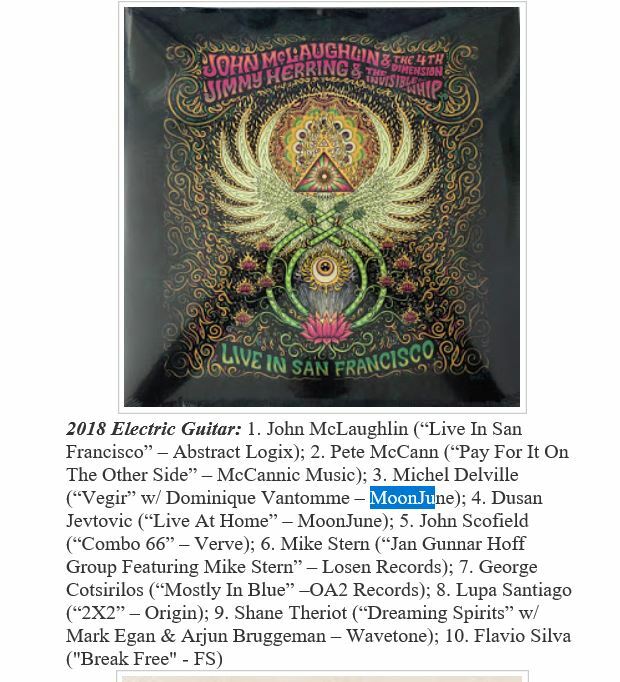 JANUARY 2018: voted one of the 10 best electric guitarists of the year 2017 as a member of Machine Mass in Arnaldo DeSouteiro's Best Jazz of 2017 (39th Annual Jazz Station Award). Machine Mass also reaches No 4 in the 2017 Instrumental Group category and "Plays Hendrix" is named one of the 25 Best Instrumental Albums of the Year. DECEMBER 2017: Swedish publisher Trolltrumma publishes Ali e t o lo ss, a poetico-photographic collaboration with Elisabeth Waltregny. International exhibitions are planned for Spring 2018. NOVEMBER 2017: The Wrong Object is going into the studio to record an album of FZ non-covers + some brand new original songs. MAY 2017: Official release of Machine Mass Plays Hendrix (MoonJune Records in association with Audio Anatomy). MARCH 2017: The Politics and Aesthetics of Hunger and Disgust is published by Routledge as part of their Interdisciplinary Perspectives on Literature series. JANUARY 2017: We're in the final stages of proofeading and indexing The Politics and Aesthetics of Hunger and Disgust (to be published by Routledge in March 2017) + editing and finalizing the forthcoming studio album of The Gödel Codex. NOVEMBER 2016: Recording with Dominique Vantomme, Maxime Lenssens and Tony "King Crimson" Levin in Hoboken (near Antwerp) with a view to a Fall 2017 MoonJune release. NOVEMBER 2016: Listening to the first mixes of a recording session featuring Guy Segers, Catherine Smet, Joe Higham, Andy Kirk and Dirk Wachtelaer. Is this the Return of the Son of The Moving Tones? OCTOBER 2016: my new collection of prose poems and microessays, Anything & Everything (trans. Gian Lombardo), is available from ﻿Quale Press﻿. I also have a trilingual (Italian-French-English) chapbook coming out from Liberodiscrivere (Vol. 9 of the Versopolis collection) in Genova. MAY 2016: The Wrong Object (and much more) on DVD - Got Canterbury? The long-awaited companion DVD to the highly acclaimed documentary "Romantic Warriors III - Canterbury Tales" is out. It features ca. 45 minutes of Wrong Object material (music & interviews) alongside live performances by the likes of Richard Sinclair, The Soft Machine, Didier Malherbe and The Muffins. APRIL 2016: Developing Ali e t o l o ss, a new erasurist poem based on Elisabeth Waltregny's Through the Looking-Glass series. APRIL 2016: Jon Wilkinson is in the process of mixing the new Machine Mass CD (Machine Mass Plays Hendrix). MARCH 2016: UNDOING ART, a new essay written in collaboration with Mary Ann Caws, is at the proofs stage. FEBRUARY 2016: New Spring and Summer dates added - click here for details. NOVEMBER 2015: Working on a new collaboration with Tony Bianco and Paul Dunmall + preparing a Hendrix tribute with Machine Mass feat. Antoine Guenet + rehearsing some new tunes for The Wrong Object. APRIL 2015: WHAT'S IN A NAME? Some people have asked me about the meaning of "The Gödel Codex" - here is what I wrote to Aad van Nieuwkerk and Pieter van Engelen a while ago: "Hello Aad and Pieter: Thanks for your notes - I am not a mathematician - I first encountered Gödel via Douglas Hofstadter's book I Am a Strange Loop, and it led to a consideration of complex loops in electronic music, which I was studying last year when the band began to rehearse (at the time I was editing a book on the uses of loops in the arts). As in Hofstadter's book Gödel's work is used both literally and metaphorically here - the idea that mathematical patterns and number theory can reveal larger truths, etc. The "codex" is a reference to the strange aura which seems to surround KG's work for experts and laymen alike. Basically, the name of the band is more indebted to Hofstadter's work than to Gödel himself. It seems appropriate to a kind of music which builds upon the idea that electronic instruments are liable to generate formal systems which contain an infinity of formal systems and that electronically-processed or generated sounds can escape our control and become like little creatures endowed with a life of their own. Also, and more fundamentally, perhaps, the name sounded great:)!" 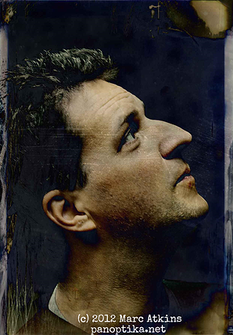 OCTOBER 2014: The Wrong Object performs in Italy for the first time in five years. DECEMBER 2013: THE WRONG OBJECT and DOUbT featured in THE BEST JAZZ OF 2013 in Arnaldo de Souteiro's Annual Jazz Station Poll ! DECEMBER 2013: A new interview on Québec e-mag PROFIL (in French). For Jean-Michel Peretti's English translation, click here. OCTOBER 2013: MACHINE MASS feat. 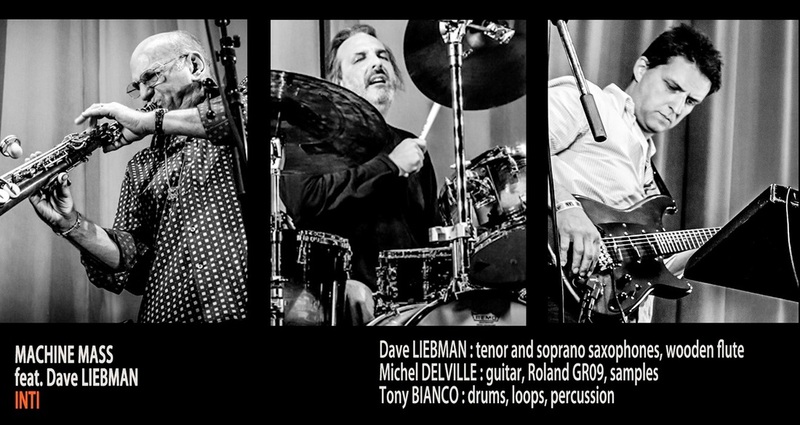 Dave LIEBMAN and THE WRONG OBJECT are getting a full feature article in Jazzmozaiek - many thanks to Georges Tonla-Briquet and Jos Knaepen for their help, talent and enthusiasm. Click here to read the full article. SEPTEMBER 2013: The Wrong Object feat. Benoît Moerlen and Susan Clynes on FILM: the band will be filmed and interviewed by Jose Zegarra and his crew towards a 2014 US DVD release on the legacy of the Canterbury Scene. AUGUST 2013: Pavel Borodin's film "Comicoperando in Amsterdam” was shown at the XII International Kansk Video Festival held in Kansk, Siberia, August 25–31. receiving rave reviews worldwide - click here for more info and selected press quotes. essays entitled Crossroads Poetics & a book of prose poems, Entre la poire et le fromage.